Are You fond of blogging, yet don’t know how to make Your publications more stylish and stand out among loads of other content? 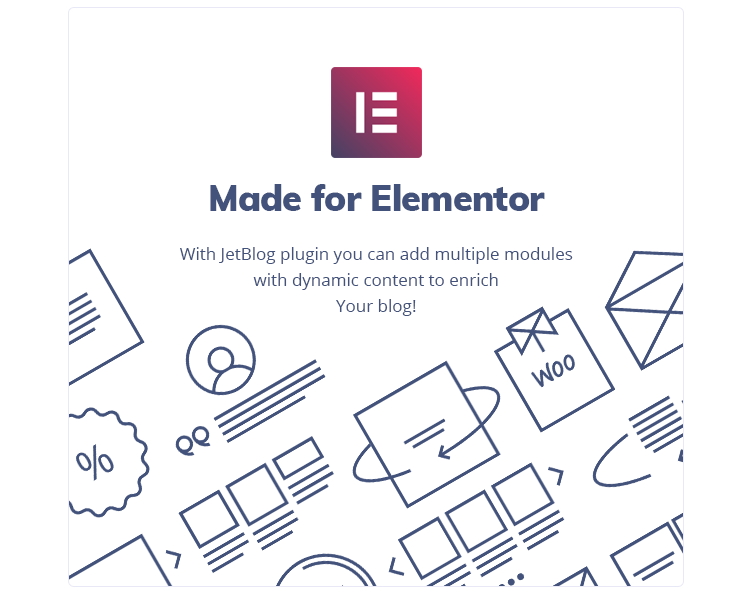 Meet JetBlog, an innovative addon for Elementor live page builder, made for displaying blog publications in a breathtakingly attractive form of post tiles, lists, news tickers and video playlists. JetBlog is an invaluable tool when it comes to making Your blog page really rock! It has tons of content and style options, which make it possible to make your content even more classy-looking! 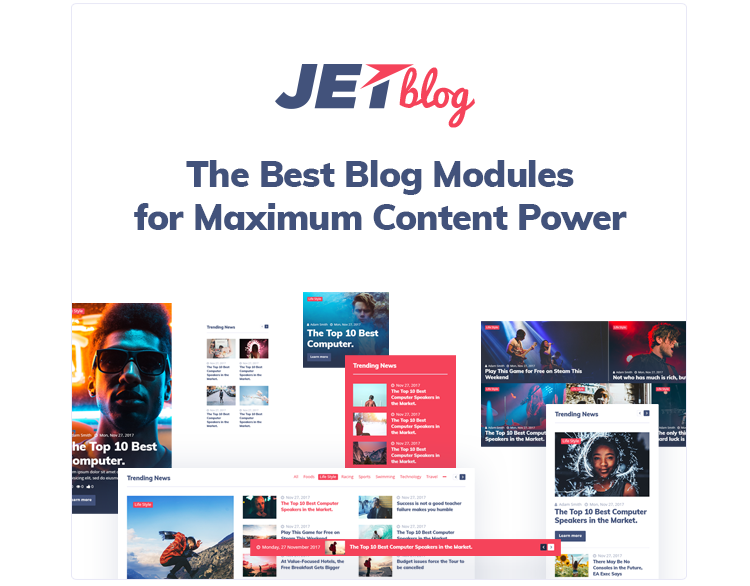 JetBlog provides a set of dynamic modules, each one powerful to its core, cut for displaying posts, that already exist on Your site. Say “Bye” to the dull list of recent publications on your blog page, and prepare for the totally new experience with Smart Posts List, Smart Posts Tiles, Text Ticker and Video Playlist widgets, that will be on guard of Your content awesomeness from now on. Let’s take a closer look at each of the modules and see what one can do using them! 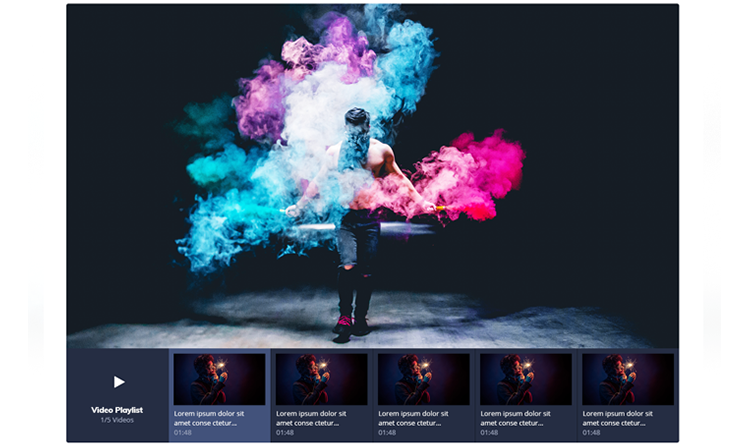 If You prefer classic posts layouts, such as listing, or if you’re fond of fancy-looking multi-columned layouts with featured images and fully customizable design, in both cases Smart Posts List won’t leave You indifferent! It allows creating versatile layouts and applying custom style settings without ever touching a single line of code! Meet a top-notch Smart Posts Tiles widget made for creating visually perfect content blocks displaying publications on your website in the form of stylish tiles. It also allows arranging the posts in the form of different spectacular layouts. And, of course, you can change the style of the post tiles, apply color or gradient overlay, change the gaps between tiles, choose what information you want to display. If you want to keep to the compact forms when displaying your blog’s recent publications as a news feed, then enclose it in the eye-catching news ticker! Text Ticker widget will help You preserve the space on Your page, and give the visitors all the necessary information in short time using the spectacular animated form! What about displaying video playlists? Videos are now a great part of blogging, so it stands to reason why so many people are looking for a way to display their videos as playlists. With Video Playlist widget You’ll be able to set the vertical of horizontal playlist orientation, change the playlist style, fitting it up for to the displayed content, and make the proportions of the playlist look as they are supposed to. With JetBlog widgets You can not only display the standard posts, but also custom post types, such as WooCommerce products, team members, services, etc. There is nothing to keep you from unleashing Your creative streak! Complete Your publications with custom fields, which are really easy to create and display! Use them to add the custom post excerpts, subtitles, and lots of other information You consider necessary when displaying the blog post or a custom post type! JetBlog widgets perfectly complement the existing ones when creating content with Elementor live page builder. Just create a new content section, select the content module you want to add and drop it there! Everything is really that simple! Let’s put it simple. JetBlog is the best choice for You if You want Your blog content sparkle. The plugin is easy to use, fully responsive, and becomes an ultimate solution for showcasing Your publications in the most stylish and attractive ways!